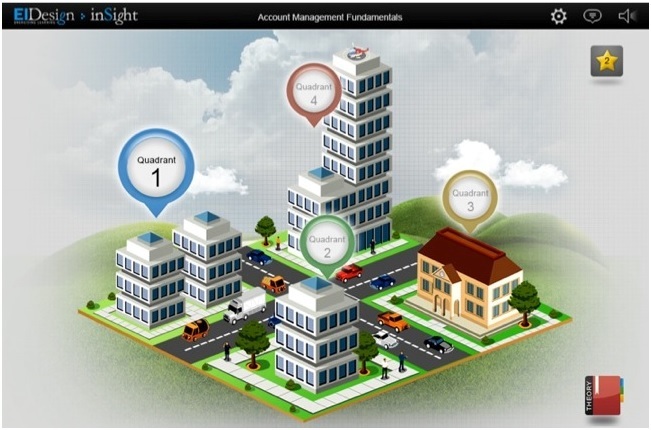 We had to re-design a quick online training for Project Managers who were being groomed to handle Account Management practices. The first was on account of varied backgrounds of learners. The target learners included Project Leads, Associate Project Managers, Project Managers, and Program Managers. 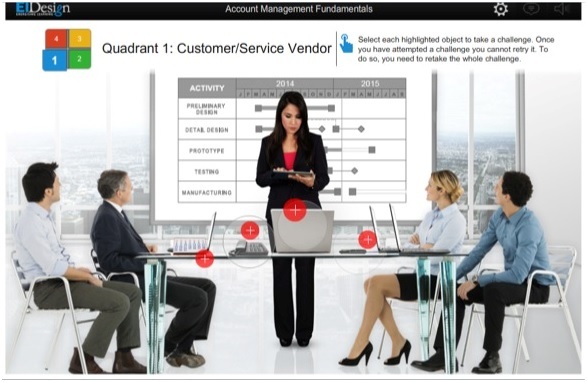 The typical Project Management experience ranged from three years to 10 years. The second was to have learners face challenges that mapped to their experience. In the initial concept, all learners went through an identical learning path featuring identical questions. However, in real life, the more experienced professionals would face trickier situations as they will handle bigger and more challenging accounts. 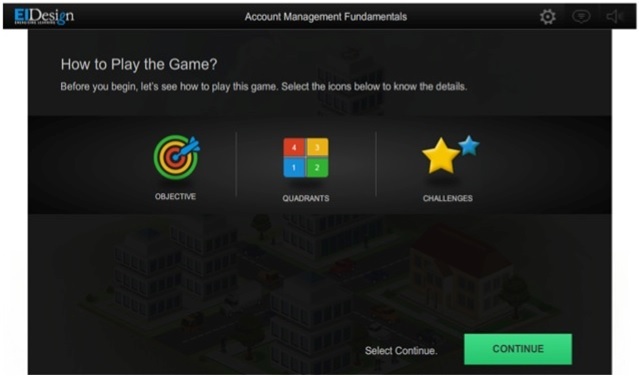 From the original Gamification concept, we retained the overall look and feel and the Introduction. We updated the rules of the game to sync up with the new approach. Then we added the Avatar selection frame. A good score enabled them to move directly to Level 2. 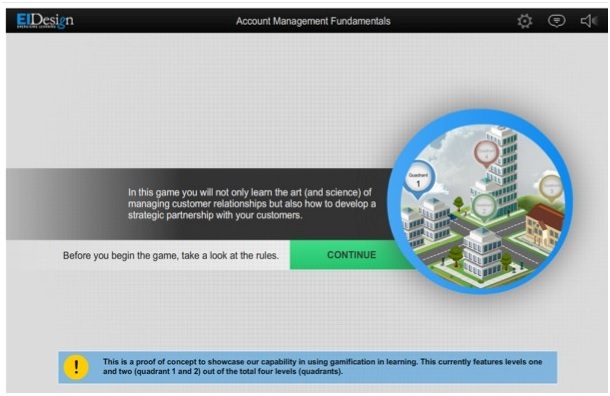 This is the landing page of Level 1. The Avatar chosen at the time of selection was in the middle. 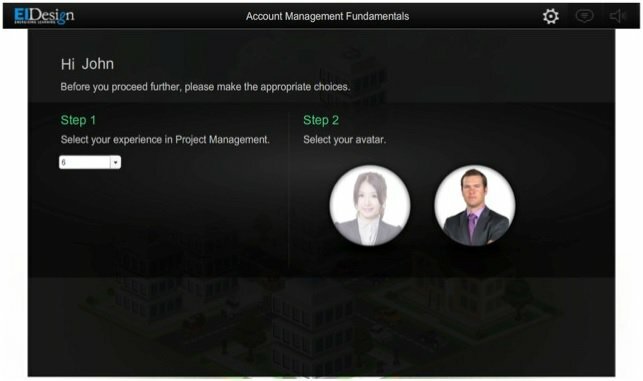 The challenges were presented on clicking or selecting the objects with the (+) symbol. This was a sample question/challenge. On answering correctly, the learners were awarded a star as highlighted. 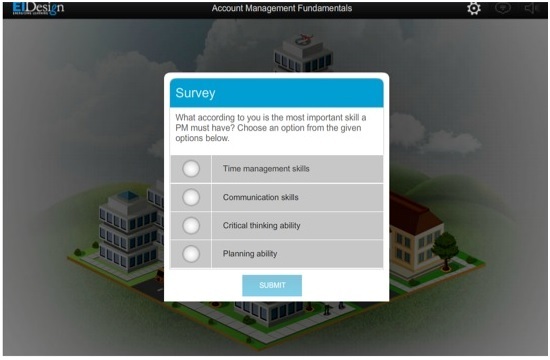 We provided different question banks for each path that matched the challenges with the experience of the learners. 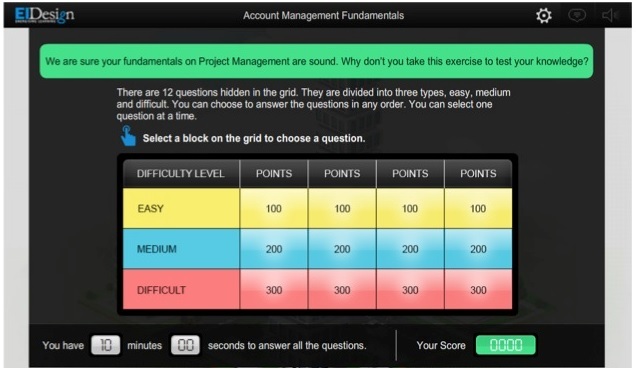 We also added surveys to seek inputs on the learners’ current understanding of Project Management. 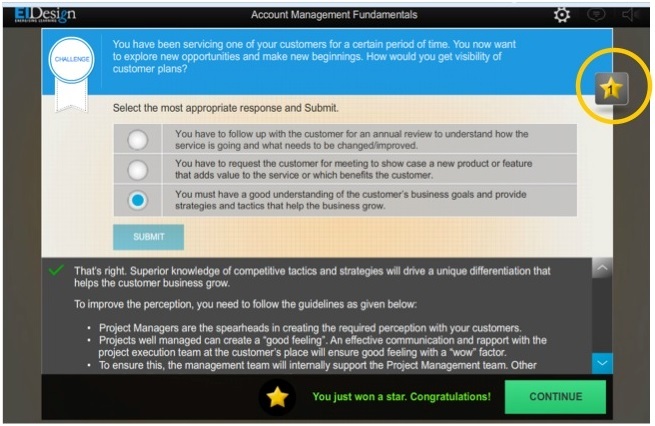 We were able to match the learner proficiency to a specific learning path that gave them the right insight on how to handle customers. The Avatar-based approach helped us carry out this mapping.